According to Peter Sondergaard, senior Vice President and global head of research at Gartner, by 2015, 4.4 million IT jobs will be created to support big data globally. With the US job market as the context, Sondergaard further adds that every big data-related job will create employment for three other people in non-IT sectors. Big data, indeed, has been the buzzword. The enormous potential it has to transform the global economy is precisely the reason why it figures prominently in today’s business talks. Simply put, big data is an accumulation of data that is large and complex in its volume, velocity and variety. Moreover, it also refers to a complex ecosystem of tools, technologies, and services required to extract information and insight from exponentially-growing datasets, and applying the findings in business policies. About 95 percent of the digital data that individuals and enterprises generate comes in unstructured form, carrying a huge potential for knowledge discovery and business intelligence. However, it takes a complex set of data mining infrastructure and skills to collect and crunch the unstructured data and develop actionable insight out of it. Unlike traditional businesses, what today’s tech-driven businesses need is advanced technology for mining real-time data and the expertise for carrying out data analytics in order to maintain their competitive advantage. Internet giants like Google and Microsoft, social networking sites like Facebook and LinkedIn, and online shopping companies like Amazon and Netflix are what they are today because of the massive amount of user data they have accumulated, which they put in use in predictive analytics, data visualization, and customization of products and services. The same goes for other companies in different sectors, from aviation to healthcare. According to Thomas Frey, Senior Futurist at the DaVinci Institute, “Sixty percent of the best jobs in the next 10 years have not even been invented yet.” There is no doubt that, one way or the other, many of these jobs will be related to big data and the Internet of Things, the next big revolution that is set to happen with rapid digitization and datafication. The rapid growth and expansion of big data market across the world has caused a huge imbalance between the supply and demand of data scientists. There are too many openings and too few people to fill those vacancies. This is why the job of a data scientist, as the Harvard Business Review puts it, has become one of the sexiest money-spinning careers in the 21st century. The shortage of highly skilled data scientists in the developed countries’ labor pool and the rising number of talented IT graduates in developing countries have helped to create a new breed of IT startups in developing countries like Nepal. It takes innovative entrepreneurship, technological know-how, and a strong drive to make a big investment in infrastructure to incorporate the cutting-edge technologies and best practices in business and marketing. Nepal still has a long way to go in this area. Consumers of big data are virtually non-existent in Nepal. 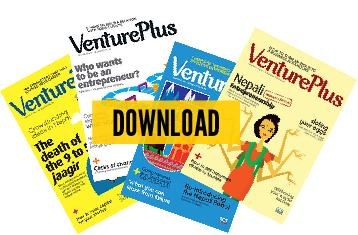 However, considering the improvements Nepal has made in the IT education and infrastructure development and considering the honest entrepreneurial zeal and professionalism of its youth, one can safely say that Nepal has a great potential to emerge as a new hub for data management startups. The fact that the number of mobile data subscribers has reached 8.68 million from 0.17 million in 2009 proves that Nepal is taking huge strides in infrastructure and market development, generating huge amounts of useful data of its own. Likewise, broadband connectivity has improved significantly in the last few years, making it both feasible and profitable to set up world-class startups in the country. It doesn’t come as a surprise that not all promising IT startups are not concentrated in Silicon Valley anymore. Startups with innovative ideas and disruptive technologies are sprouting even in third-world countries, be it Kenya or Nepal. You can take Grepsr, a Kathmandu-based big data startup, as an example. Launched in January 2012, the company now provides DaaS-based web crawling and data mining services to its clients in over 32 countries across the world. Some of its clients include Fortune 500 companies. Similarly, IT companies and startups like Deerwalk, Cloud Factory, Logpoint, VeriskIT, ZurelSoft, Leapfrog, Oval Analytics, Verisk Information Technologies, to name a few, are working in the big data business, from developing data processing software to providing SaaS and DaaS-based solutions, employing thousands of IT experts who otherwise would have fled the country in search of opportunities elsewhere. According to International Data Corporation (IDC), the big data enterprise services industry will grow to take in $32.4 billion by 2017. Despite the nonexistent domestic market, big data offers us bright prospects. The question is how Nepali IT companies are going to build a hub from the niche they already have created. Much depends on our ability to capitalize on the global opportunities by taping the talent of the workforce we already have.